As I've said a while ago, all those things that are added to beer speak more about the insecurities of the drinker than about the beverage itself. great point, Craig! You could use this entire blog as a comment on my recent "local is not a synonym of quality" blog. It seems to be inspired by it. In the third paragraph I think you meant "crafted" not "crated". Craig, the answer IMO is that in the past and still to a large degree, beer has had a strictly popular image, being the people's drink. Wine, in English-language cultures, has always been its aspirational opposite. Whiskey is a bit of a hybrid in this respect but has never really been cheap (good whiskey), so it is easier to class it with wine and ditto the other spirits. And so anyone writing about it or promoting it, consciously or not, sees a challenge to convince people not to take it for granted, to see the real merits and complexity it has, or can have. This is a strictly relative thing of course. For instance, I think the sauvignon blanc taste is inherently not a good one, to me it has a cat's litter flavour - but people laud it all over the world. Same thing arguably for the intense "petrol" of many Rieslings. But there you go, wine is established, there are good values and less good ones, tasty ones and, er, idiosyncratic ones, but no one really knocks it the way many people still do about beer. It's only a generation ago that beer was regarded by a large part of the population as a simple, unrefined thing, worthy of drinking with cheap foods like hot dogs or potato chips but not more. Price had a lot to do with it - I remember when you could buy a six pack for two dollars - but it is more than that since today you can charge wine-level prices for beer but to many people "it's still beer". And so we always try to buck up beer's image, we want to make it feel better. This is something declining in the beer world itself - the subculture knows the real value of the drink and isn't intimidated by social pressure - but you can see in earlier beer writings especially the pressure felt to explain why beer should be valued more than most people think. This is why Jackson would write that such and such a beer was the "Chateau Latour" in its category. Or why he would design elaborate beer-and-food pairings. (I remember one reviewer, overall friendly to a new book of his, saying that he was completely bemused by this use of beer, having never encountered any of the like growing up in England - it seemed completed invented to him). So yes I think collectively the beer crowd considers that beer has been wronged in this sense - not valued for the high gastronomic experience it can represent - and it still is trying to make beer feel good about itself. Beer is the little train that could.. I am not in disagreement with Max, and the beer sub-culture certainly has acquired a self-confidence that needs no boosting. But it behooves certain parts of the beer world to promote beer's merit, not out of insecurity, but to achieve certain specific goals. E.g. all brewers want to sell more beer. In a time where multiple unit consumption isn't the defining image (of good beer), they have an interest to explain to wine drinkers why they might try something different. Writers want to do it sometimes to acquire a larger audience. So there can be reasons to my mind to keep boosting the beer. Also, if the big brewers enter the so-called crafty area big time, a lot of the variety and choice we now have could wither. 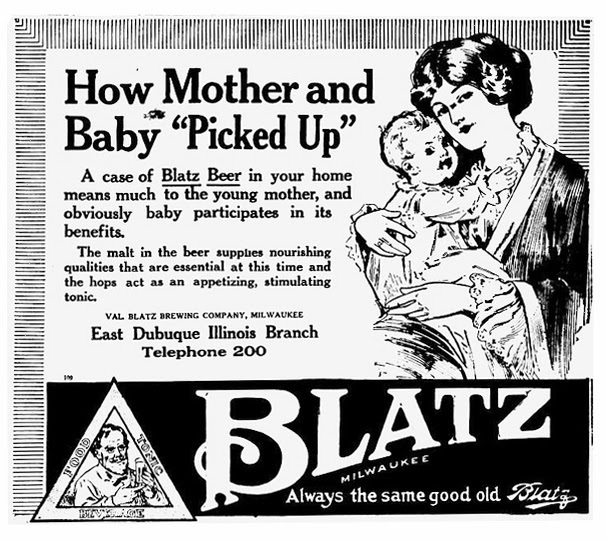 Once before a wave of consolidation in the beer industry occurred in North America and England, elsewhere too ultimately (Germany and Czech Republic partial exceptions). It's just 30 years since beer has gained a respectable foothold in gastronomy in North America and it is starting in England but could it not reverse easily without a sustained protective movement, lobby if you will? On the other side we have consumers who repeat all that - beer is healthy, beer is the new wine, beer is cool, beer is sophisticated, etc. - there is where you can find the insecurities. Whether we like it or not, most people out there still see beer as a lowbrow, blue collar drink and many consumers, specially the of the young, affluent urbanite kind don't really appreciate being associated with lowbrow, blue collar or unsophisticated. PS: I don't think big beer getting into craft territory is the threat some people would like us to believe. The brand craft beer has a very loyal consumer base, people who are more than willing to pay a considerable premium for a product they believe is better, while at the same time supporting independent/local businesses (or so the discourse goes), and I believe that market will be able to support a sizable part of that branch of the industry, as it does with organic/free range/locally sourced/integrated/gourmet produce. Naturally, the challenge to offer value will be greater, but as a consumer, I don't see any problem with that. In fact, I believe that, at least in the US market, small (properly small) craft brewers face a much bigger threat from big craft than big craft faces from macro beer, but that's something many people would rather not talk about.